Horticulture therapy has helped many people for years. Although it has not been advertised as much as other therapies such as occupational therapy it works in many of the same ways. 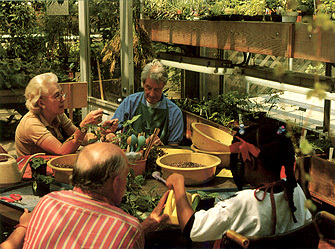 In comparison to other kinds of therapies, horticulture therapy is much more intense. It involves the patients mental health as well as their physical and emotional well-being. In your adventure through this site I hope that you will find answers to all of your questions.